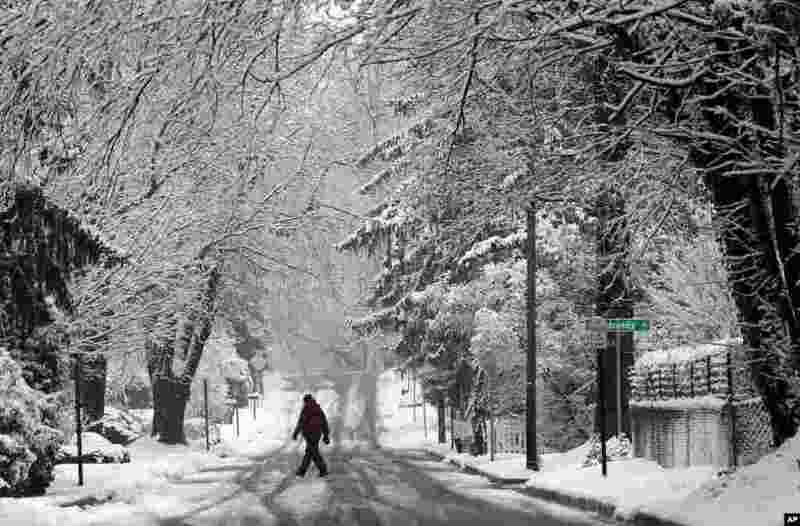 1 A man walks on a snowy road in Towson, Maryland. Residents along the East Coast and in the Appalachians woke up to snow and government workers and students in the Washington region were told to stay home as the area saw a round of snow that came just a few days after some parts already got several inches. 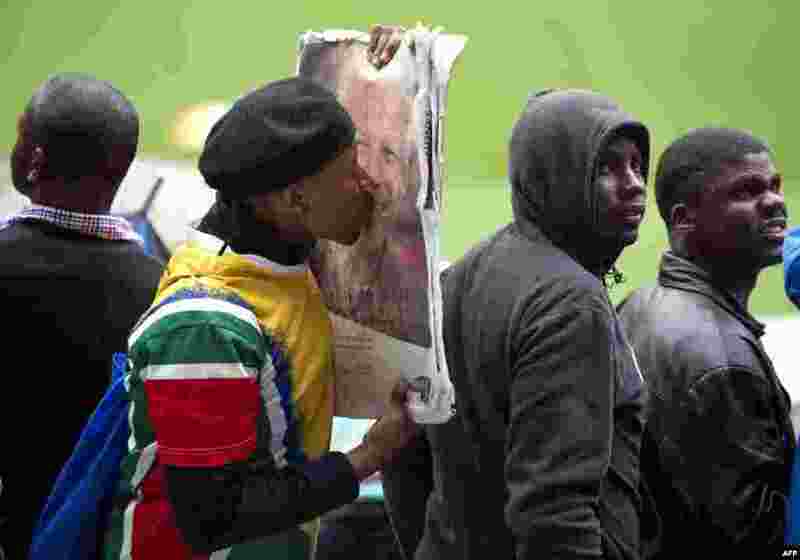 2 A man kisses the portrait of former South African President Nelson Mandela during his memorial service at the FNB Stadium (Soccer City) in Johannesburg. 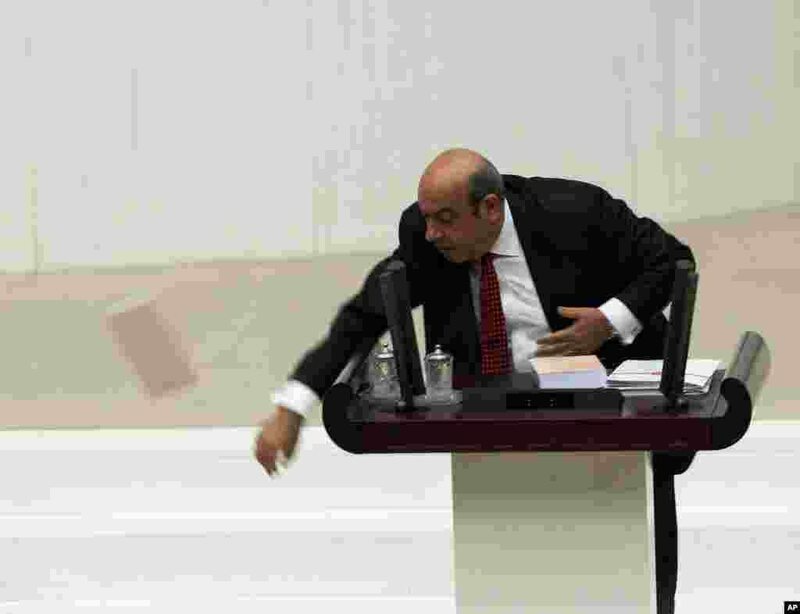 3 Turkish Kurdish lawmaker Hasip Kaplan throws the 2014 budget document as he addresses the parliament in Ankara, Turkey. 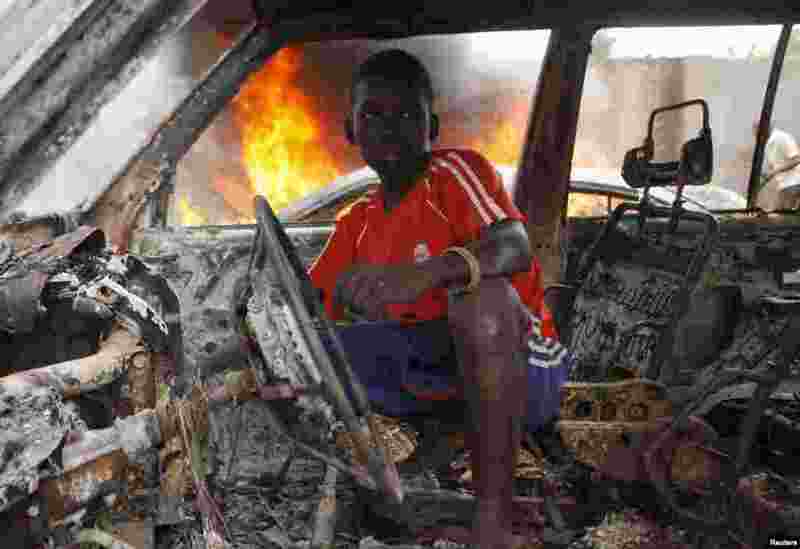 4 A Christian youth squats inside a burnt out car in Bangui, Central African Republic. French troops in Central African Republic manned checkpoints in the capital and searched for weapons in an operation to disarm rival Muslim and Christian fighters responsible for hundreds of killings since last week.